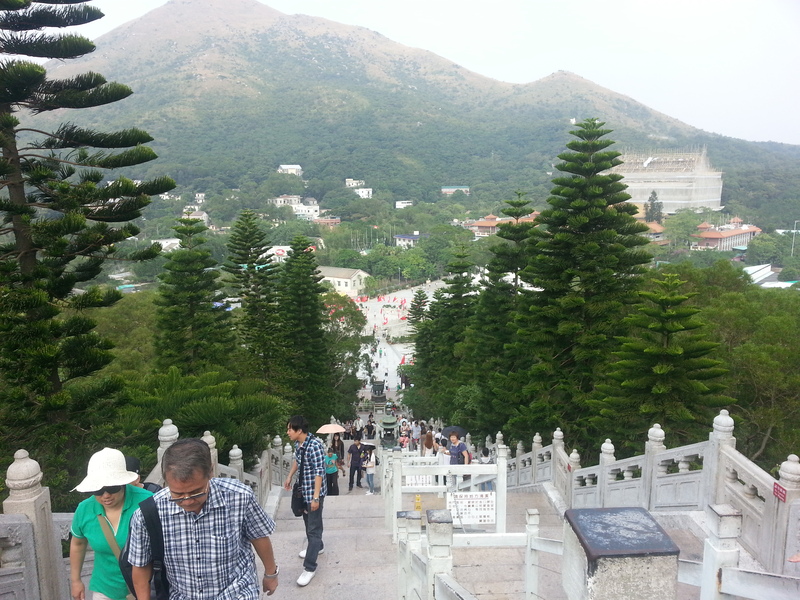 Ngong Ping Cable car ride is perhaps the best way to experience Lantau Island and its surroundings. From the Cable Car Station in Tung Chung (this is also the end of the MTR line), one will be transported through the cable car for about 20 minutes until the station where the Giant Buddha is. 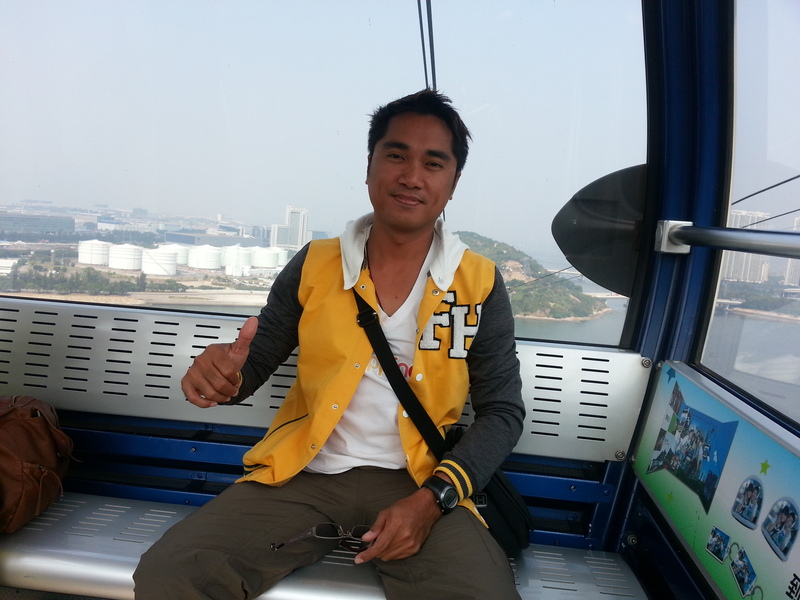 The cable car ride is amusing, amazing and awesome. 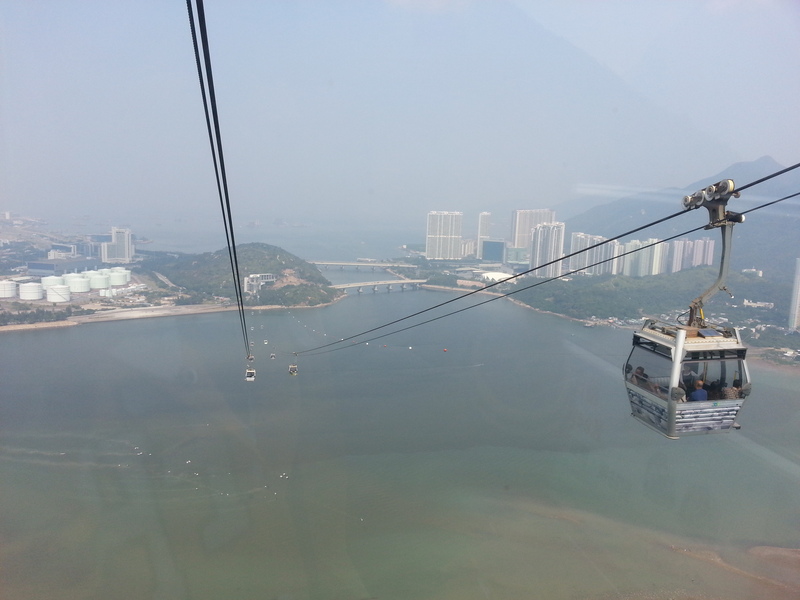 It gives a perfect view of the skyline of Lantau while one can see the mighty cables that hold the cars. An amusing 20-minute experience indeed awaits very one here. At the Ngong Village, one will be treated with several shops, theaters, and culturally-rich experience. Check out my video teaser taken during my visit last October 11, 2012. Thanks to David for providing us with a wreondful home-away-from-home. The flat was comfortable, in a great location, and we didn’t have any problems at all! David was very helpful and provided great tips on where to eat, where to buy groceries, the best way to get to and from the airport, etc. There was even a fruit platter when we arrived! As there were six of us in the family, this apartment was a much better and more cost-effective option than getting three hotel rooms. We were able to bond around the dining table, cook breakfast, watch TV together. And having WiFi is always a bonus as we all had our gadgets with us. We would stay there again, no hesitation! whoah this blog is great i love studying your articles. Stay up the good work! You recognize, a lot of individuals are searching around for this info, you could help them greatly. There are so many options out there that I’m totally overwhelmed .. Any ideas? Cheers! “學會在緊絀的預算下完成任務” – in HKICPA’s eye, “accounting professionals” is eaunvqleit to “book-keeper”.As a member of HKICPA, I wish the Institute stops further marketing activities to promote the so-called “professionalism” of accounting – because even HKICPA itself did not believe so.I agree with you that HKICPA did not respect its young members. And it’s very weird because we, in substance, are the client of HKICPA- we do settle our membership fee with them on time. Based on their act in the previous years (remember their hip-hop show?! ), I have no expectation from them. Maybe we should have an option to claim our membership fee as a “donation to charity” instead of “professional membership fee” on our IRD form. I have always disliked the idea because of the expenses. But he’s tryiong none the less. I’ve been using WordPress on several websites for about a year and am concerned about switching to another platform. Most help articles on the web are inaccurate or inrenoceht. Not this! I do consider all of the ideas you’ve introduced in your post. They are really convincing and can definitely work. Nonetheless, the posts are very brief for novices. May just you please lengthen them a bit from subsequent time? Thanks for the post. Once that Is completed, you now have one distant managing all your amusement program. be able to effortlessly take note of it, Thank you. diet to everyone but if you’re unsure please consult a doctor. anxiety to help you control and eliminate stress and anxiety.